Theme from Departure – the debut feature film from Andrew Steggall. Here you can purchase a PDF of the main theme from Departure, the debut feature film from Andrew Steggall. 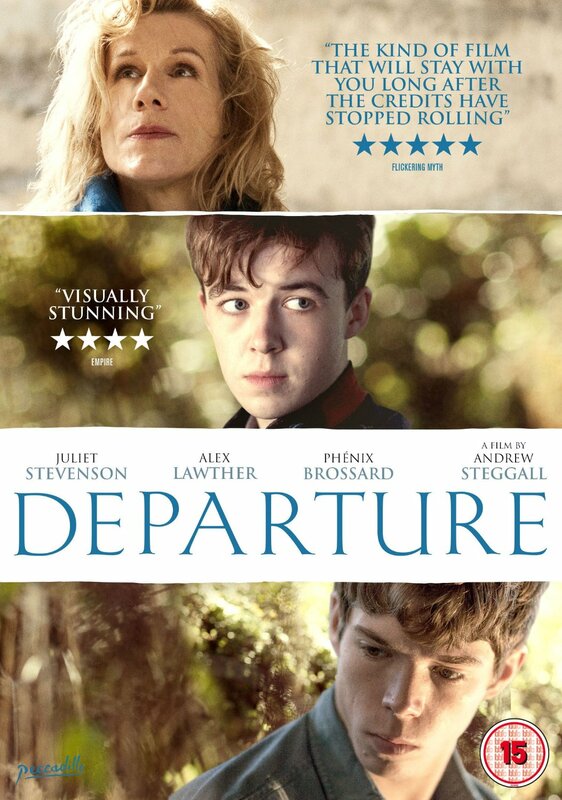 Departure stars Juliet Stevenson, Alex Lawther, and Phénix Brossard. Theme from Departure is a broken waltz, recorded on an out of tune piano. The F an octave above middle C is particularly broken on the piano I used to record the soundtrack. This creates a fractured sound for certain key moments of the score. An English mother and teenage son spend a week in the South of France breaking up a summer home that has become one of the casualties of the boy’s parents’ crumbling marriage. Matters only become more complicated when an enigmatic local boy enters their lives. An English mother and her teenage son spend a week in the South of France breaking up a summer home that has become one of the casualties of the woman’s crumbling marriage. The boy struggles with his dawning sexuality and an increasing alienation from his mother. She in turn must confront the fact that her marriage to his father has grown loveless and the life she has known is coming to an end. When an enigmatic local boy enters their lives, mother and son are compelled to confront their separate desires and, finally, each other. An otherwise nuclear family unravels in the South of France. Find out about Departure on the IMDB. © 2019 Jools Scott | Composer & Pianist. All Rights Reserved.